This Apache Cassandra tutorial is your first step to learn Cassandra which is a powerful, scalable, highly available, distributed NoSQL database. You will get to know the peer-to-peer architecture of Cassandra, what is column-oriented storage, how Cassandra is resilient and more through this easy to learn Cassandra tutorial. Learn Cassandra from Intellipaat Cassandra training and fast-track your career. In this Apache Cassandra tutorial you will learn Cassandra from the basics to get a clear idea of why Cassandra is such a powerful NoSQL database system. Cassandra is a high performance, high availability and highly scalable distributed database that works well with structured, semi-structured and unstructured data. For structured data we have the RDBMS, so a database like Cassandra is mainly used for storing and manipulating unstructured data. This Cassandra tutorial can be beneficial to anybody who wants to learn NoSQL databases. Software developers, database administrators, architects, managers can take this Cassandra tutorial as a first step to learn Cassandra and excel in their careers. There are no prerequisites to learn Cassandra from this Cassandra tutorial. If you have a basic knowledge of databases, then it is good. Apache Cassandra is on open source powerful, distributed NoSQL database that does not have a single point of failure and is extremely scalable and highly available. 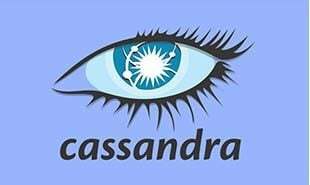 Cassandra was originally developed at Facebook and later open sourced and is currently part of the Apache Software Foundation. A NoSQL or Not Only SQL is a set of databases that provide a way to store and retrieve data that is not in the standard tabular format followed by relational databases. 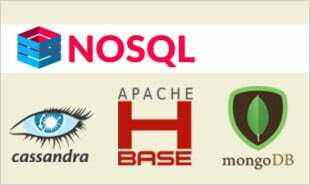 The NoSQL databases of which Cassandra is a very popular database share some common features and attributes. The NoSQL databases do not have any schema, they support easy replication of data, they have a simple API, they do not exhibit the ACID properties but are eventually consistent and finally last but not the least, they can handle huge volumes of data. It has finer control over availability. 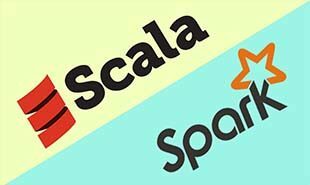 Why is Apache Cassandra so widely used? In this section of the Cassandra tutorial we list some of the major points why Cassandra is such a widely used NoSQL database. Its architecture is based on Google’s Bigtable & Amazon’s Dynamo. Become Cassandra Certified in 12 hrs. It performs blazing fast writes without sacrificing the read efficiency. Apache Cassandra is one of the most widely used NoSQL databases. Here we list some of the top applications of Cassandra. Cassandra is a top NoSQL database and it is finding more and more users with each passing day. Since we are living in a world of big data, Cassandra is finding huge acceptance since it was built for big data. Also a lot of the organizations are moving from the traditional relational database systems to NoSQL databases and thus Cassandra is their natural choice. All this means that the job market for Cassandra is just heating up and the salaries for Cassandra professionals are among the best in the big data domain. All these are compelling reasons for you to learn Cassandra and excel in your career. "2 Responses on Cassandra Tutorial – Learn Cassandra from Experts"
Sign Up or Login to view the Free Cassandra Tutorial – Learn Cassandra from Experts.